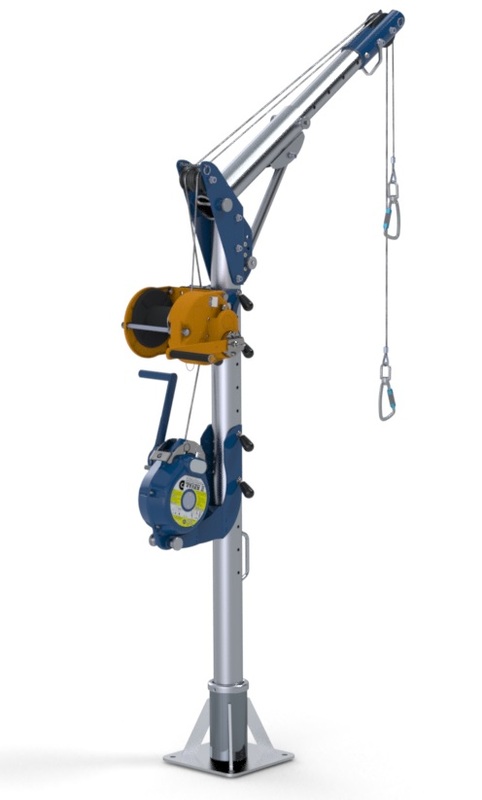 The G.Winch is specifically certified for the lifting and lowering of personnel. 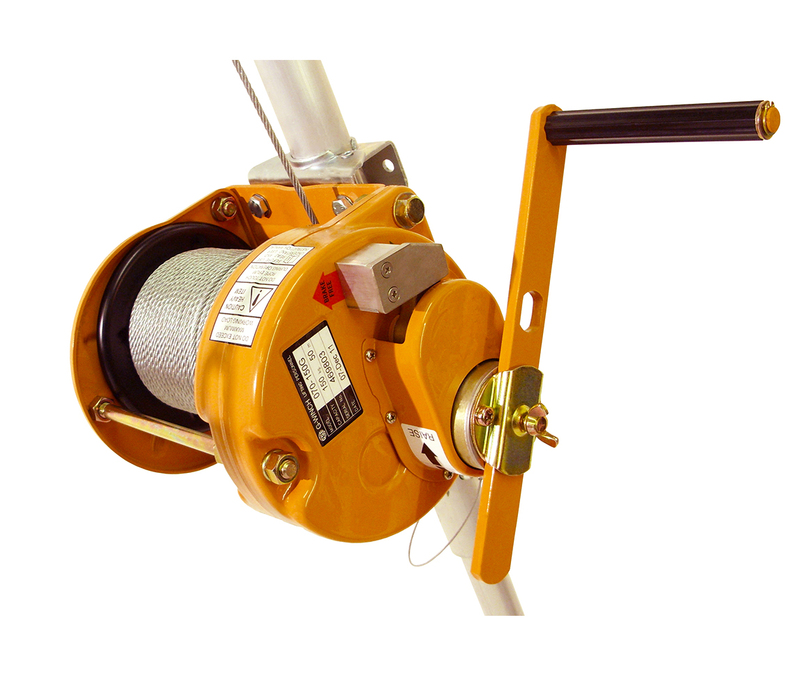 It is a personnel winch that may also be used for load lifting. 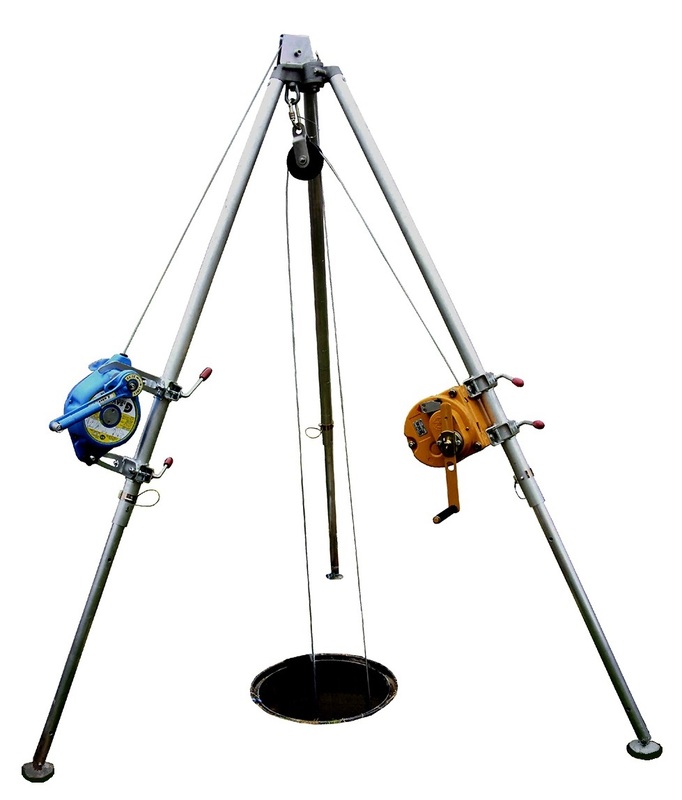 There are two versions available: 150kg MWL (up to 50m) and 250kg MWL (up to 40m). 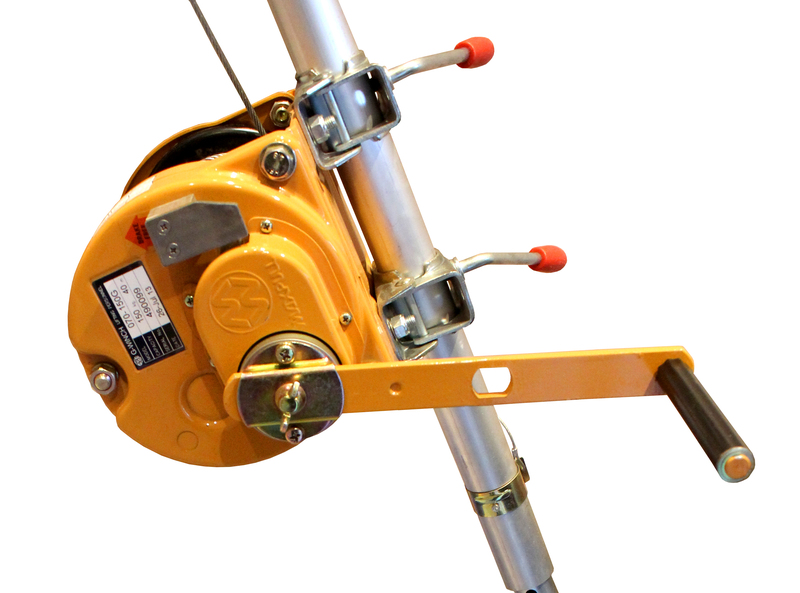 The anti-run braking mechanism means that, if the winding arm is released during lifting, the winch automatically locks, holding the person / load steady until the handle is rotated again by the operator. The 1:8.9 gear ratio make personnel lifting easy, and allows 50mm of cable retrieval per rotation. May be mounted to various anchor devices.